While visiting the Neon Boneyard in Las Vegas (I've been twice!) 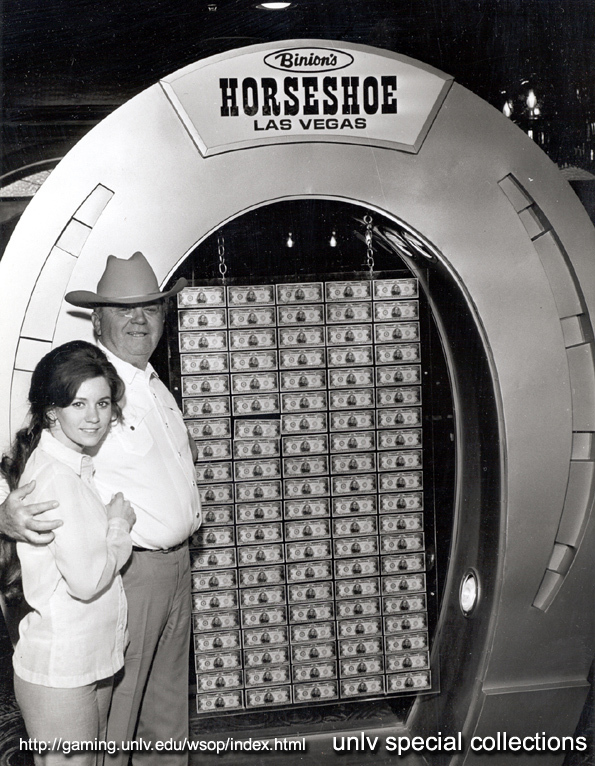 I heard the story of Benny Binion, who created The Horseshoe Club (now called Binions). Benny was a marketing and PR genius, and his ideas have inspired many casinos (and other businesses) ever since he opened in 1951. He was the first to put carpets into casinos and also added air conditioning, putting the overall comfort of his gamblers first. He was the first to introduce the idea of free drinks for all gamblers, rather than just the big spenders. Ironically he also introduced the highest table limits in Vegas, ten times that of his competition. His casino was the first to offer free transport from the airport, as well as creating the Poker World Series ( as a marketing stunt). Benny Binion understood the need for a customer experience, and thought outside of the standards that existed. His legacy lives on in every casino to this day!